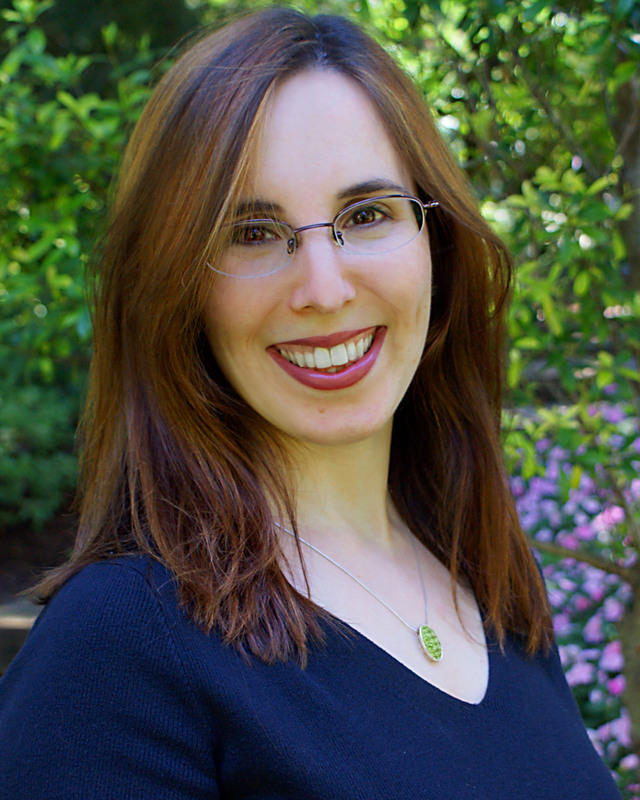 Today, we are thrilled to once again welcome Jackie Morse Kessler as part of the Blog Tour for her new release Loss, the third book in the Riders of the Apocalypse series (which Ana will be reviewing later today). Please give it up for Jackie! I used to play Advanced Dungeons & Dragons. A lot. Every Sunday afternoon, I’d get together with about ten other people, and we’d go off and save the world. Well, at least our characters did. Us? We kicked back and ate bad food. I hugely enjoyed playing AD&D – getting to roleplay, getting to solve puzzles, and, as mentioned before, getting to save the world. One of the tropes of AD&D is the magic weapon. You know, the +5 sword or the shield that you can use as a mirror to behold monsters in their true forms without any permanent damage to your mind, body or sense of humor. If you had a magic weapon, life got much easier for your AD&D character.1 Magic weapons, like bow ties, are cool. My AD&D roots peeked through when I wrote Hunger, the first book in the Riders of the Apocalypse series. In that book, the protagonist, Lisa, is given a set of bronze (or maybe brass) scales—an old-fashioned balance. This gives her the power of Famine, one of the Four Horsemen of the Apocalypse. 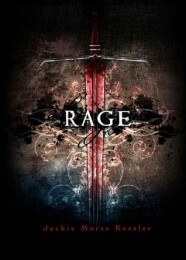 There are hints in that book that Famine is its own being, separate from Lisa—and this becomes clear in the second book, Rage. Another AD&D trope? The intelligent weapon. That is, a magic weapon that has its own personality. You know, like the ring in The Lord of the Rings, or Lindsey McDonald’s evil hand in Angel. 3 The tools in the Riders of the Apocalypse, whether or not they’re weapons, are intelligent. And that can be a real headache for the Riders wielding those tools. In LOSS, one of the tools is a bow that requires neither string nor arrow. When Billy, the protagonist, wields it, he accidentally unleashes disease. Whoops. The other symbol is the Conqueror’s crown—and wearing it can be devastating. What are some of your favorite magic weapons from books, film or television? One lucky commenter below will win a small cover poster of LOSS and will be entered in the grand prize drawing! The grand prize winner will receive signed copies of HUNGER, RAGE and LOSS—and will get to name a character in BREATH, the fourth book in the Riders of the Apocalypse series. The grand prize winner will be picked on Sunday, April 1, 2012. No foolin’. Giveaway is open to ALL and will run till Saturday March 24 11:59PM (PST). Good luck! The grand prize sounds too good, sure you’re not fooling? Lol. Sign me just in case though. My favourite magic weapon from books/movies would be Harry Potter’s wand. Hmmm, favourite magic weapon? That’s difficult. WHY MUST YOU MAKE ME CHOOSE? Um, I guess it would have to be Thorn from Tad Williams’ Memory, Sorrow, and Thorn trilogy. Thorn can only be wielded by whomever it WANTS to wield it – so our hero uses it to kill a dragon – and then he can never lift it again! The idea of the four riders of the Apocalypse is interesting. Personally, I enjoyed their representations in Supernatural – four dudes in awesome bitchin’ cars who drop by to raise a little Hell. Thanks for the awesome giveaway! I haven’t read this series yet, but the books sounds really interesting. I loved Hunger! This giveaway is awesome. The Frying Pan of Doom from a short story in Patricia C. Wrede’s Enchanted Forest series. I LOVE The Frying Pan of Doom. Apparently, it’s a weapon of choice, as Disney’s Rapunzel utilizes it fiercely, as well. favourte weapon? mmm, I love the pen of Percy Jackson! 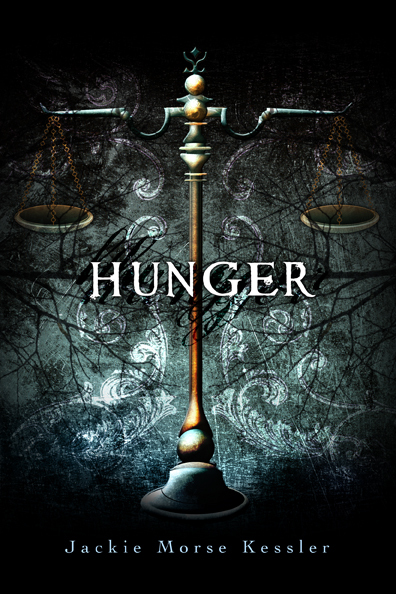 Oooo, I loved Hunger–definitely entering this giveaway! This series sounds amazing and I can’t wait to read the books! These books have a great premise and Death is awesome, sign me up for the giveaway too. The ring in The Lord of the Rings has ingrained itself in my pop cultural frame of reference in that I frequently hiss “my precioussss” about all sorts of things that are not rings. Ok, Gollum is the character who covets the ring, but the ring is a character, too! This series sounds amazing, I’d love to win! I look forward to your review too. As for magic weapons, how about Sting? I really like the amulets and charms in the Hollows books by Kim Harrison. And this is possibly the coolest giveaway. I love the series and cannot wait for the next book. I too love playing D&D. My favourite magic weapons would be Buffy’s scythe and Sting from LotR. Ooh this giveaway sounds amazing. Also, I just love the idea behind this series! you could cook in it if only it didnt unleash the evil powers in it. its awesome and it makes you look awesome. My favorite weapons are people who are weapons; meaning, people who are somehow, against their will or knowledge, sent into enemy territory with false information or some kind of subconscious trigger that causes them to undermind their friends’ plans. Diabolical, I know. Ooh count me in too. Can’t wait to read Loss. I love Lady Teldra from the Vlad Toltos books. I love how the Riders of the Apocalypse combines myth with reality. Magic weapons… magic weapons… I love that necklace from Castle in the Sky!! <= the movie, the one directed by Hayao Miyazaki? My favorites are Gandalf’s staff from Lord of the Rings and Sting,Bilbo’s sword. Magic weapons, huh? I’m more into traditional swords. These books sound awesome. Thanks for the giveaway! I am looking forward to reading this series. It looks amazing. Can we count the Force? My favorite magic weapon would have to be Harry Potter’s wand. Thank you for the giveaway! I always wanted to read this serie and this is a great opportunity so count me in. I love the covers in this series! Magic weapons… I kind of like staffs, but the weapon is also nice when it is the magic itself. Wow, the grand prize is pretty amazing. Can’t wait to read Loss. I read the first two, and really loved them; they really struck a chord with me. =) I’d love to win this! I’d love to read a good book about bullying. 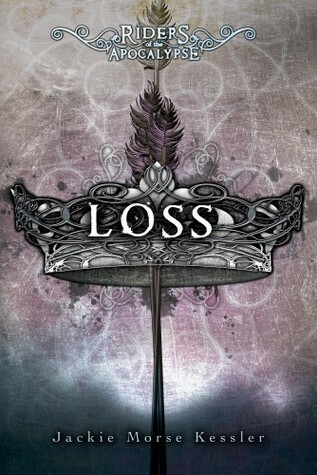 I can’t wait to read Loss. I’ve really liked this new take on the horseman, and look forward to whatever else Ms. Kessler came up with. These books sound awesome! I’m definitely adding the series to my TBR list. at the moment, my fave weapon is cat barahal’s cane/sword from the spirit walker trilogy by kate elliot. i want cold steel to come out so badly!! this is a great giveaway. the riders’ series is definitely on my tbr list.